Just Us Girls started as a column in our monthly relationship newsletter at DAVID’S CHRISTIAN CENTRE called BLISS and has enjoyed such followership that it has grown beyond being just a column where the issues faced by today’s women are trashed out but has evolved to become a channel of healing, learning and above all an opportunity to build friendships and give hope. We hold an annual Just Us Girls conference in september of every year but is just a tiny part of what Just Us Girls is all about. In its entirety Just Us Girls is much more than that… it is my heart. It is my dream that one day, women will begin to see themselves as they really are, choose to make a difference and refuse to settle for less than they deserve. I know some people may think it’s a big dream albeit almost unachievable but I believe that achieving big dreams start with taking small steps. All I’m asking is that you join me in taking those small steps by giving back to a specie of humans who are always giving. How? Start by spreading the word about this blog. Why? You’ll be blessing a life besides it’ll be fun. So let’s do this. hey victoria pls send me an email on dccpastorm@yahoo.com and i’ll send you a detailed mail. 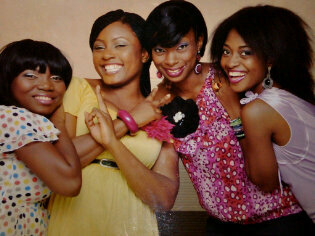 i love dis,hw do i become a part just us girls. How can I be part of just us girls fully? This is awesome. Pls i do i become a part of just us girls. I really want to be part of this. Good evening pastor M…. I must say… this blog is a bleesing to me. A place to draw inspiration from. I’m New here and I only got to know about this blog a few days back and just when I felt like I have hit rock bottom, I jus found strenght somehow. Trying to recover from a failed relationship that was almost a wedding with every arrangement in top gear and something jus went wrong and everything went south. N someone in error sent me a link meant for someone else and that’s how i found myself here and I have bn high on this blog. Thanks for touching some many girls, ladies and women beyond words. Listen to me love. No matter how good you think that relationship was if you trust God, He will dry your tears, heal your heart and bring you joy then compensate you with a worthy son.